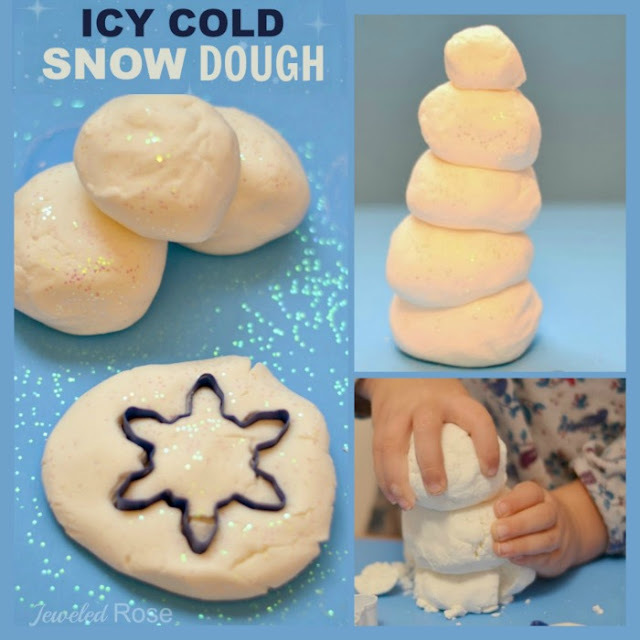 Here is a simple and fun way to make your own snow paint. This paint is really vibrant and smells amazing, which makes it even more FUN for kids! 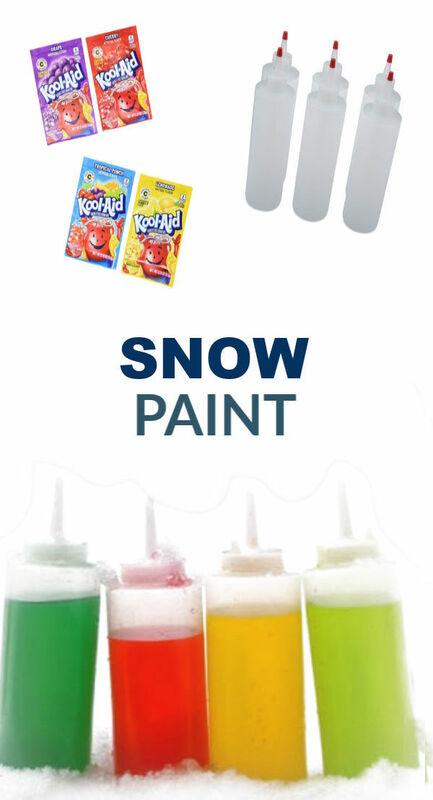 Add one flavor packet of Kool-aid to an empty squirt bottle, using one bottle for each color of snow paint that you wish to make. Fill the bottle(s) with warm water. Secure the lids onto the bottles, and then have kids shake them up until the kool-aid is dissolved. That's it! 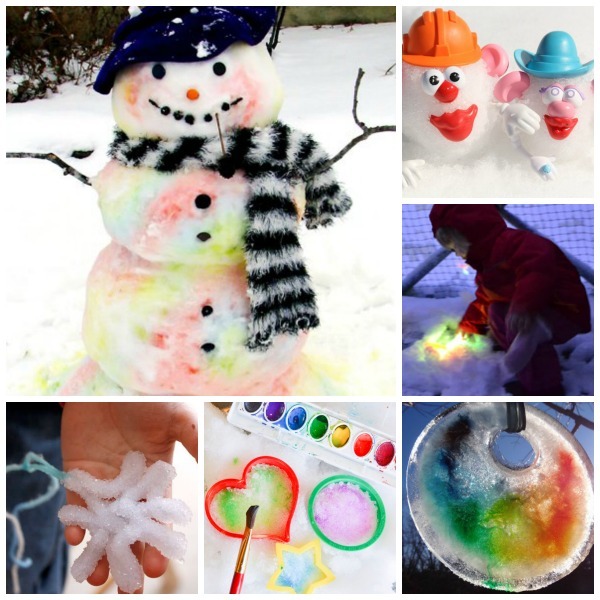 Now, grab the kids and head outside to paint the snow! Rosie and Jewel LOVE this paint and always have so much fun when we make it! 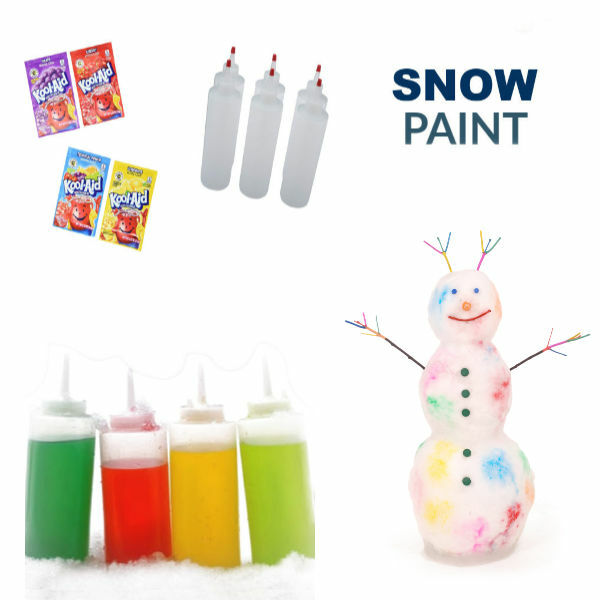 The kool-aid makes the snow paint super vibrant, and it's SCENTED, which makes it even more fun for kids! My girls had a blast painting the huge canvas of snow, and they even used the paint to embellish their snowmen. 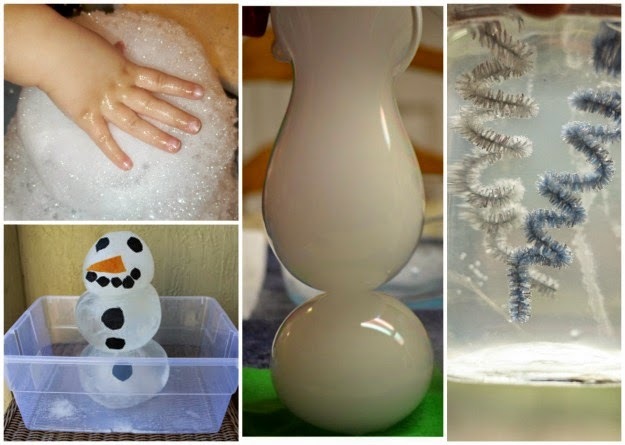 My girls played with this simple activity for a LONG time! 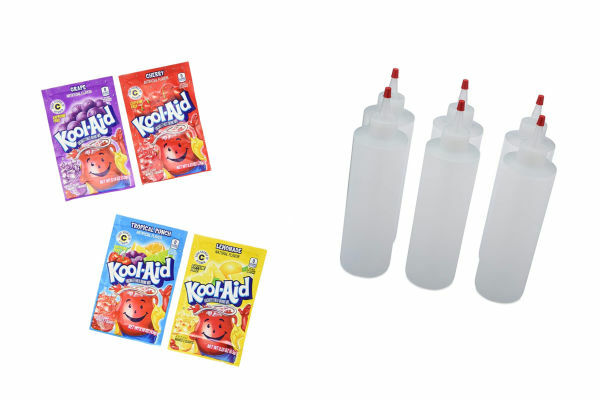 We buy our Kool-aid packets in bulk online here. 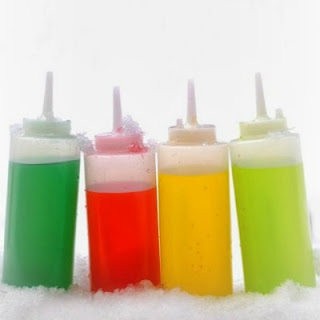 The squirt bottles that we use for our activities can be purchased online here. Don't have Kool-aid on hand? 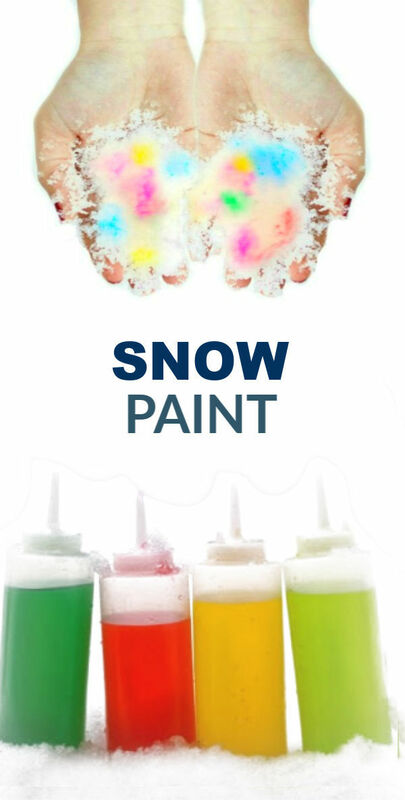 Use food coloring to make snow paint instead!